Easy peasy lemon squeezy. That’s what my kids always say when they are explaining how to do something and they think it is really simple. 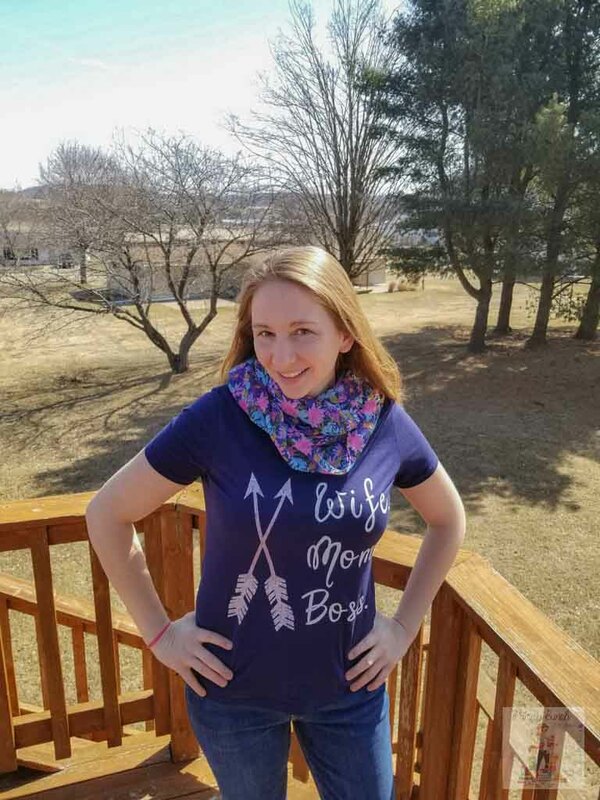 Today I’m going to show you how to use Cricut brand patterned iron-on, along with the Cricut EasyPress, to make some easy peasy lemon squeezy DIY custom iron transfer t-shirts! The Cricut Patterned Iron On really adds a punch to your designs so I’d highly recommend grabbing some. Cricut has loads of designs (currently 9 sampler packs) and I found it hard to pick a favorite. For this project, I chose the Chantilly design. I liked how the creamy color and the fun chantilly swirls popped off the shirt and really made my design stand out. You can see the exact pattern I used HERE, or find all the patterned iron on designs HERE. 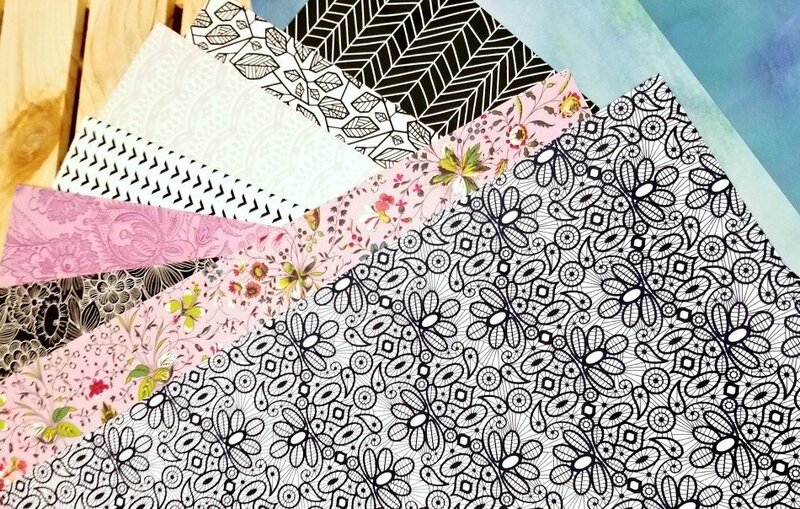 The Patterned Iron On™ is going to be a game changer for crafters everywhere! 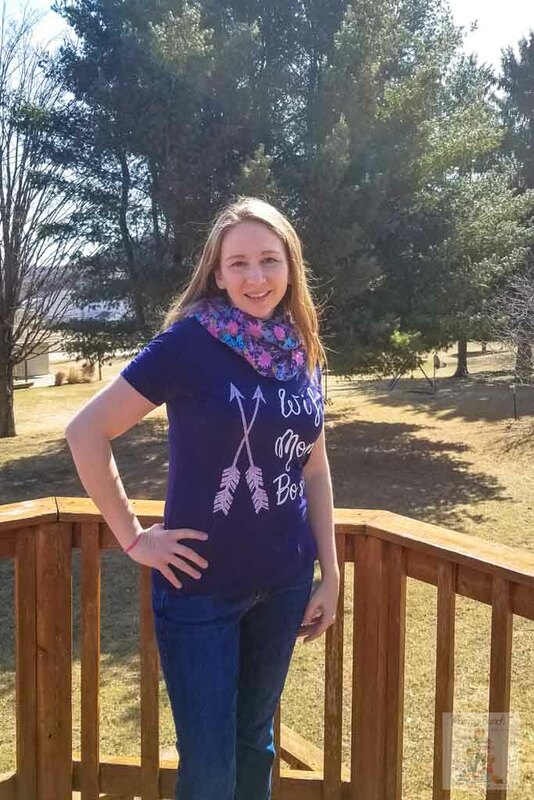 Patterned Iron On is perfect to decorate t-shirts, hoodies, baby bodysuits, throw pillows, tote bags and more. 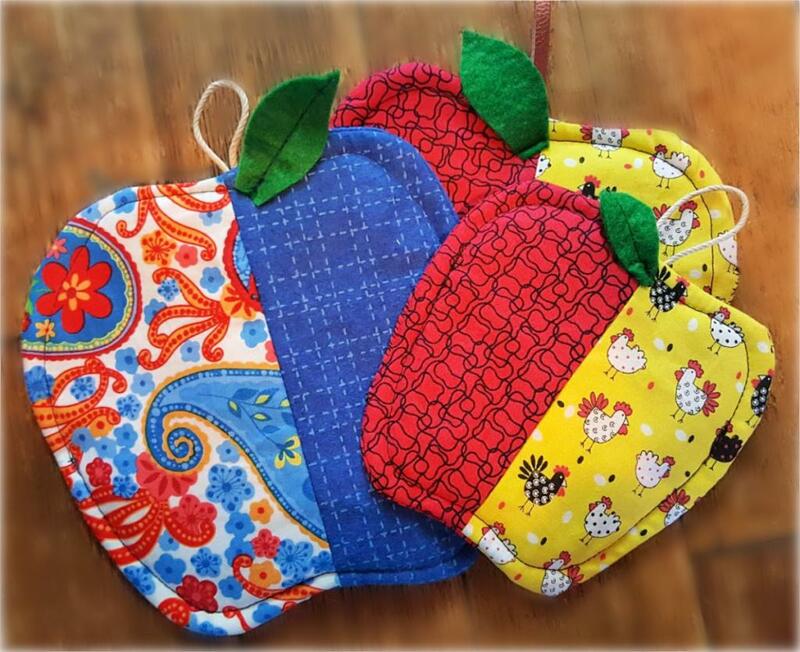 Because they come in samplers with 3 different designs, they’re perfect to mix and match for one of a kind projects. 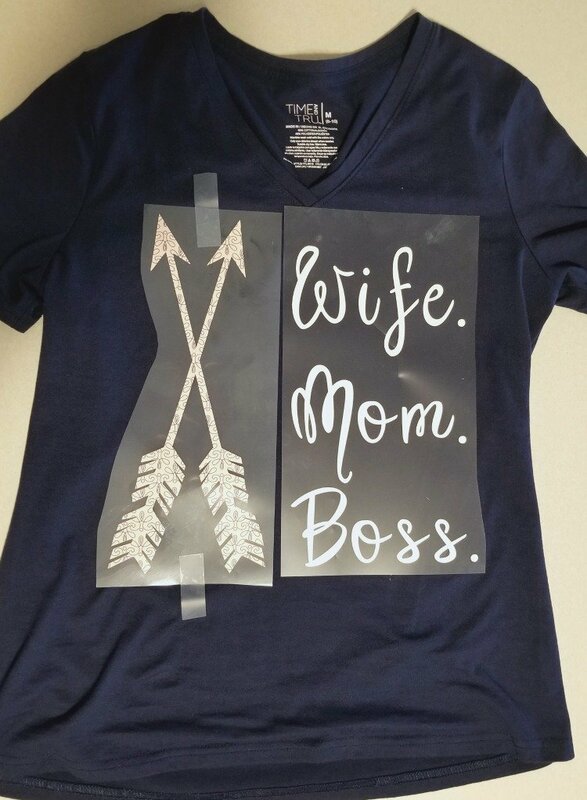 Note: You cannot layer the patterned Iron-on so keep that in mind when creating your designs. Check this quick video to see how to easily create custom designs using Design Space, then go forth and create your own! You can also see more Design Space tutorials in my free Crafting group on Facebook. Once you have your design to your liking, you are ready to cut. 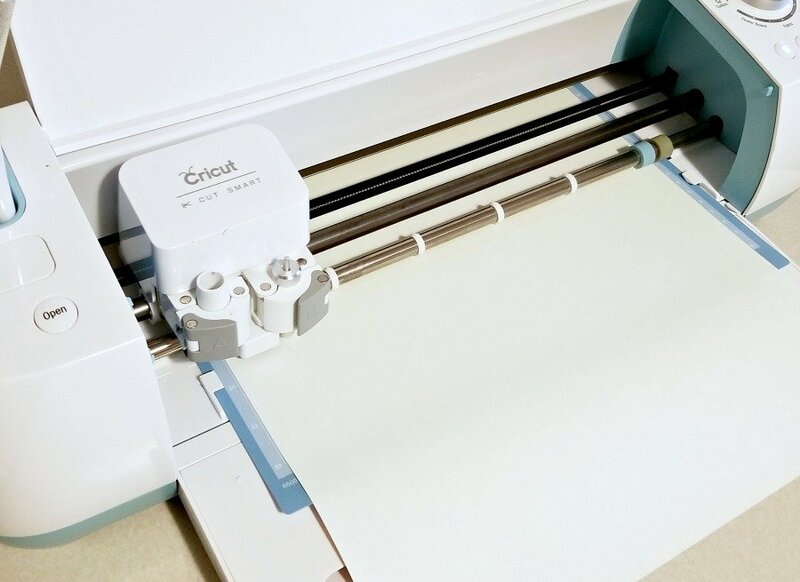 Load your mat with your material into your Cricut Explore Air cutting machine, follow the prompts on your screen, and cut out your design. You can find my exact cut file in Design Space here. 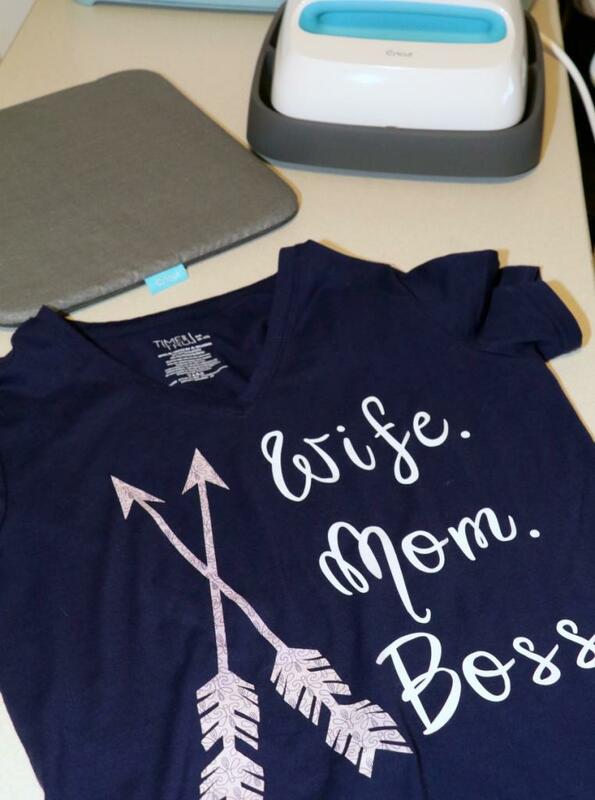 ► Place your material shiny side down on the mat when cutting Cricut iron-on. ► Be sure to reverse the image before cutting iron on material. You’ll cut so the pattern/color is down, then when you flip it over it will be correct to place on your material. 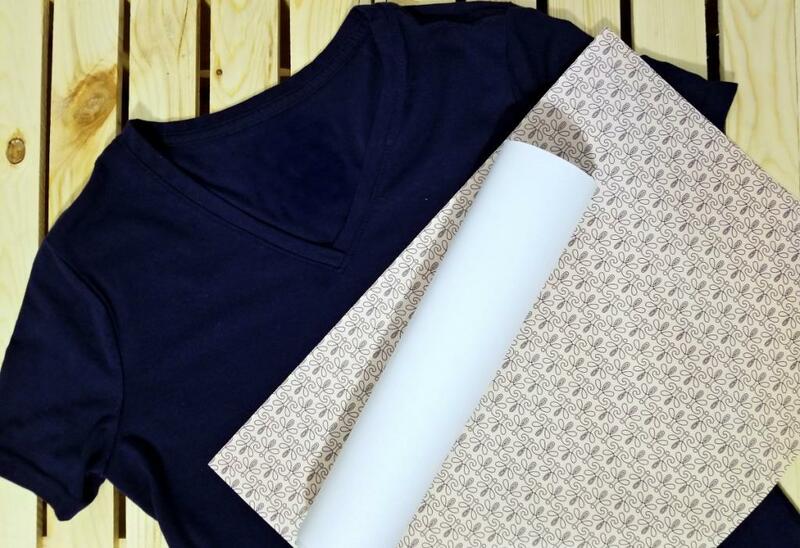 After cutting has complete, simply weed out excess material (see how to weed in this tutorial), place on your shirt in the desired area, and press with the Cricut EasyPress. ► Preheat the area of the material in which you will be applying your cut image for 5-10 seconds. ► Set your EasyPress heat for 340F for 50 seconds on the front of the garment, 15 seconds on the back of the garment. Use firm pressure. ► COLD PEEL your backing (let cool). If using an iron, follow the same tips as above but using the cotton setting for 50 seconds on the front and 15 seconds on the back. Cold peel. Don’t have an EasyPress yet?! Grab yours HERE — it’s a game changer! I typically like to lay my design out and eyeball where I want things to go before I start adding any heat. I’ll tape it on and lift up the shirt and see how it looks next to me. This way I get an idea of how it is going to look before I’m committed. Once I’ve got everything in the right location I grab my EasyPress and EasyPress mat and get the shirt warm. If you think you’ll forget where you want your design to go, you can use a fabric pencil to mark where everything should be. Then press as directed above, let it cool, and peel off the backing. 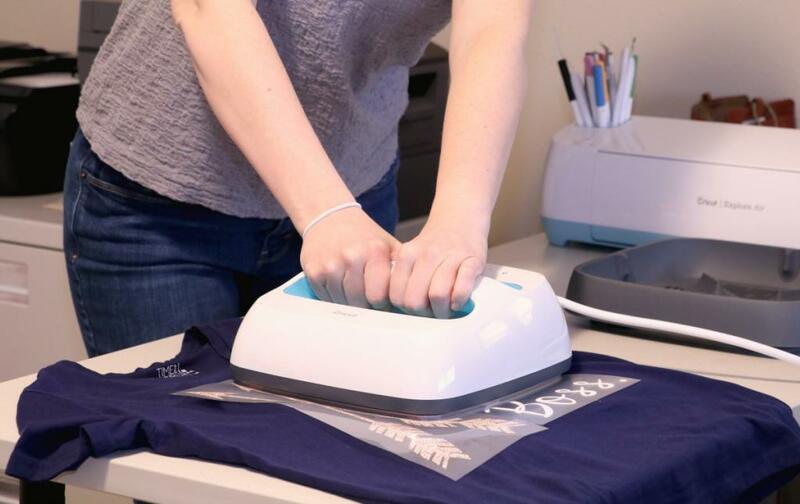 It’s as easy as that to get your own custom Iron Transfer T-Shirts made right at home! 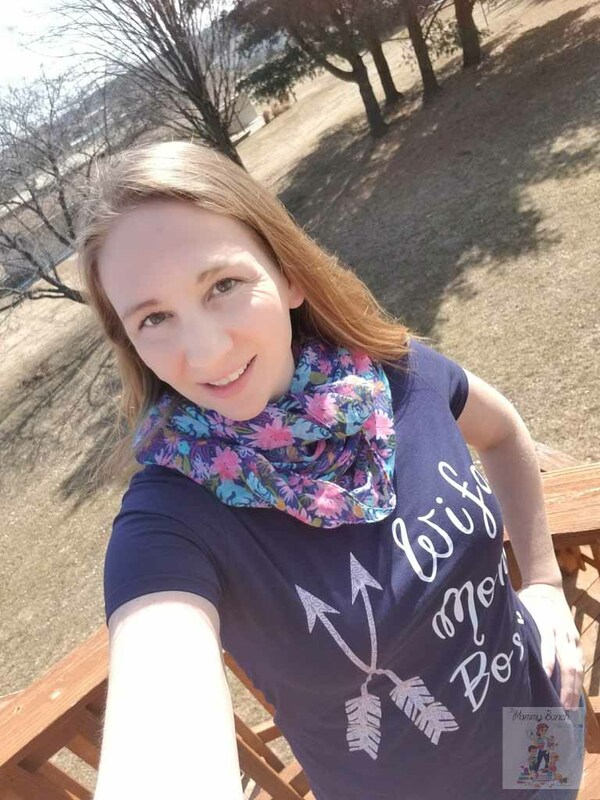 To see how to use all the features in Design Space, like editing text, adjusting images, hiding layers, etc., head over to my Cricut Tutorials section. *Learn how to cut, weed, and transfer vinyl in my personalized beverage coaster tutorial. *Learn how to use Design Space features like ungrouping, welding, and cutting vinyl in my Vinyl Letter Wedding Tile tutorial. 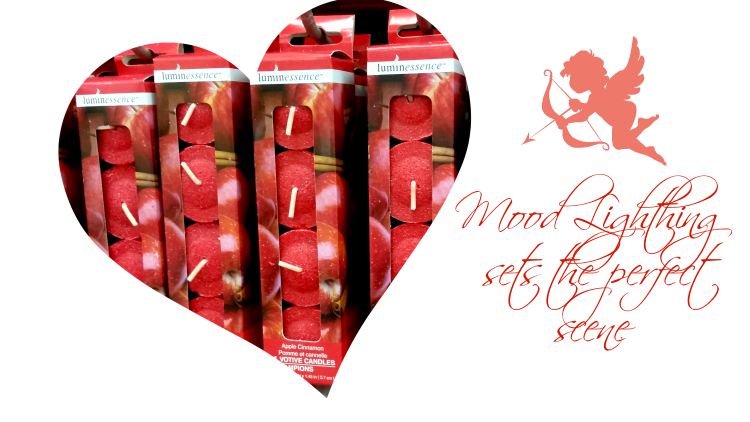 *Learn how to ungroup and slice in my Teacher Appreciation Gift tutorial. 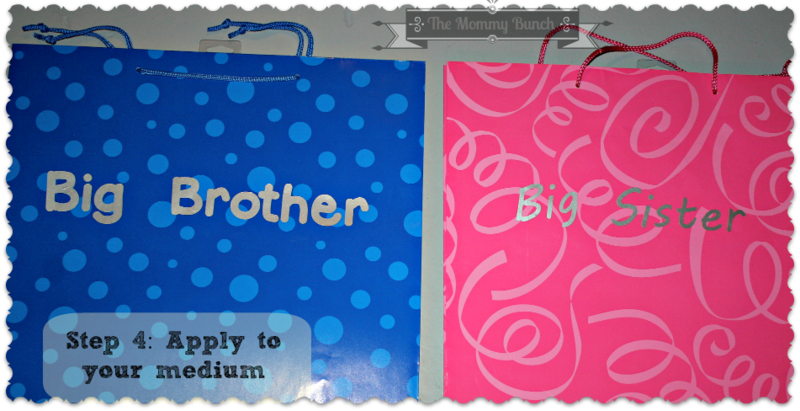 *See another project working with Cricut Foil in my DIY Stocking Holder tutorial. 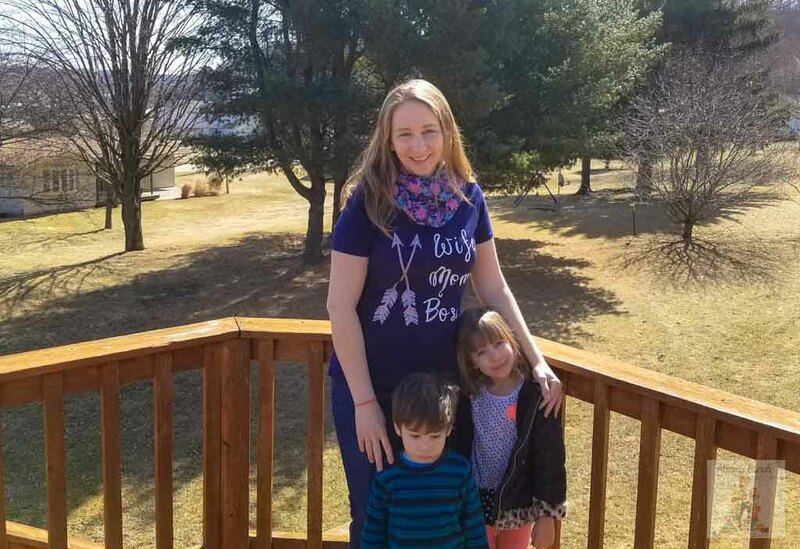 *And if you are simply a beginner and need an easier project to start with, try my very simple Cricut Tutorialsto get some practice under your belt, then come back and tackle this one! Love these Iron Transfer T-Shirts? Check out what else you can do! These are just a few ideas to help get you started, but there is so much more to be made. You can see a full list of fun Cricut Tutorials right in Design Space or start designing your own project. The possibilities are endless!